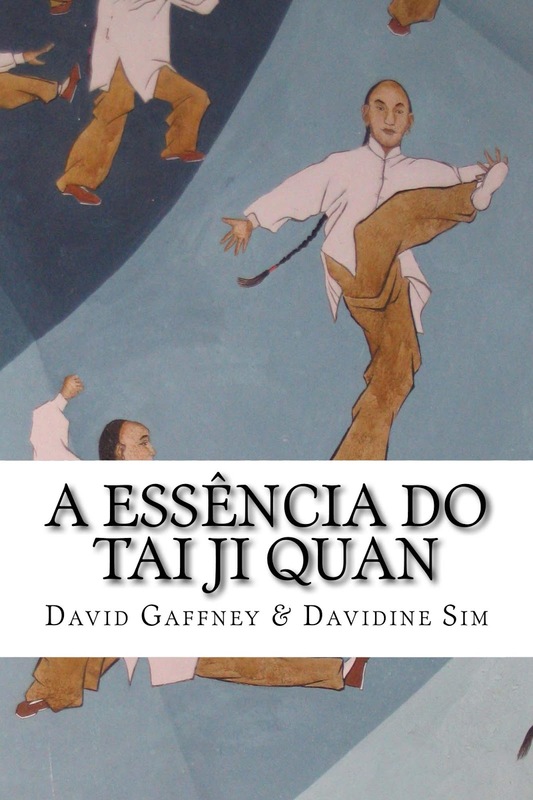 New learners don’t need to get bogged down with the Taijiquan’s high philosophy. Especially during the early stages of one’s training journey where it is too profound and complex to be applied in any practical way. Being able to recite the system’s advanced theories and repeat parrot-fashion whole verses from the Taijiquan classics means nothing if it is not supported by sustained training so that a person can physically manifest the principles of Taijiquan. Wang Xian: "You must train past your body's normal limits". How intense should this training be? The following quote by Wang Xian makes his opinion quite clear: “Taiji training is very hard. You must train past your body’s normal limits – many times past these normal limits. Normal training just will not do. You need to push”. In a previous post I noted Chen Xiaoxing’s advice to one of his student’s in Chenjiagou “not to underestimate the importance of hard physical training”. Tian Jingmiao: "It's all a matter of repetition". 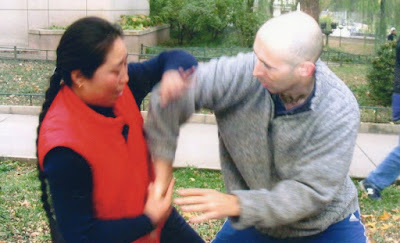 Some years ago we trained in Beijing’s Purple Bamboo Park with Tian Jingmiao, a disciple of the renowned Beijing based Chen Taijiquan teacher Lei Muni. She said that, “Practice is simply a matter of repetition, the more you do the better you get”. To incrementally increase the level of both intellectual understanding and physical skill we must work through the different stages of training in a logical manner. There is a saying that all practice must be done “according to the principles”. The principles start with the fundamental requirements. Then, on this foundation, learners advance in a step-by-step manner towards the higher levels of skill. 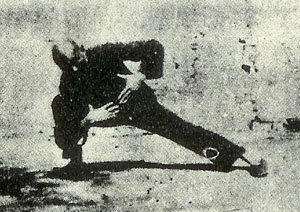 To use a modern analogy: “learning Taijiquan is like installing a computer with hardware and software in order to improve its capability. The hardware increases the physical capacity of the computer, making it stronger and more functional. The software, on the other hand, performs the functions of the hardware and increases the number of functions. In order for a computer to perform increasingly complex tasks, it is necessary to continually upgrade both the hardware and the software. Taijiquan requires an exponent to possess a strong and useful body – the hardware, as well as trained skills – the software”. “When I hear the rooster crow, I awake and practice Taiji.